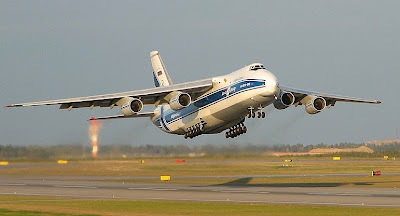 Maximizing Progress: Antonov An-124 ~ Heavy Cargo Superlifter! 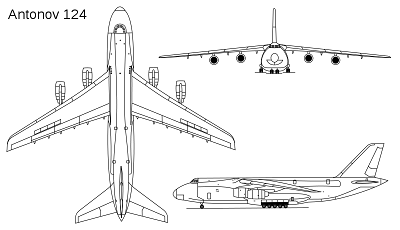 Another in a series of great flight vehicles with roots in Soviet times (e.g. Mi-26, Be-200), this time the Ukranian/Russian Antonov An-124 the world's largest ever serially-manufactured cargo airplane capable of carrying ~120 tons payload. 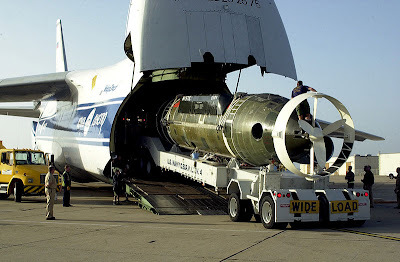 Most recently, the An-124 has been in the news for lifting a 95-ton super-sized concrete pump to Japan to bury the nuclear problem... Ginormous!